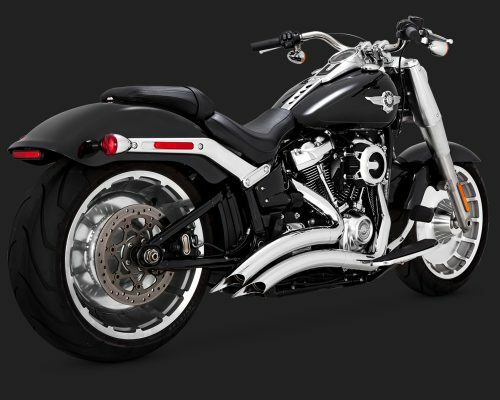 When you are ready to go for the full custom look, the Big Radius pipes set the standard for quality, looks and performance. Includes full system from heads to tip, the beautifully curved 2.5″ system also includes full length chromed heat shields, and artistically designed outlets. 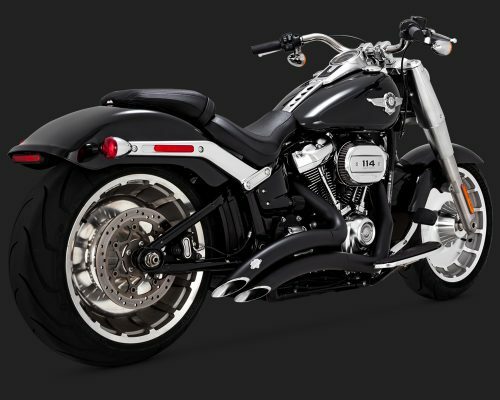 Add a genuine Harley Davidson Super Tuner (sold seperately) to unlock the full potential of your exhaust and engine. Please note that all Vance & Hines exhaust systems will raise your exhaust decibel reading above legal limits.